The eos being essentially bypassed would cause the flipper to dip when being hit by the ripper, as the game has no way of knowing that the flipper has been hit. The question is, why were they bypassed? Could just be someone who doesn't know about EOS switches, or could be masking some board issue. So the eos wasn't bypassed due to single winding could installed? I think Data East only used single winding coils. The power to the flippers is controlled by a separate board. The flipper coil gets a timed pulse of high voltage then it switches to a low voltage hold level to avoid burning out the coil. 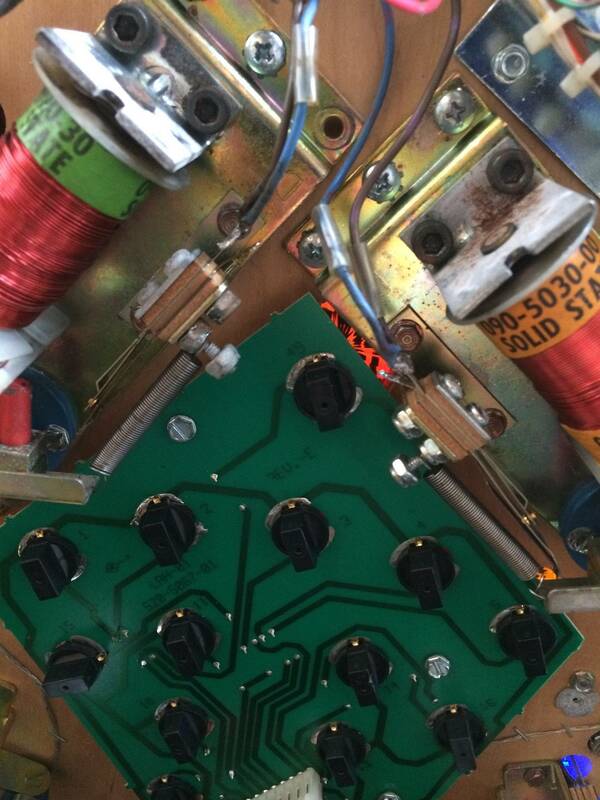 If bypassing the EOS on this machine left the coil power at high voltage I would assume that the coils would have been burned out long ago. It would not take someone cradling a ball for very long to start to burn up a flipper coil if it was left at high voltage. Try moving the wires to the correct spots on the EOS switch. Someone was nice enough to not totally remove the switches. See if it makes any difference. As I recall Data East can have flipper problems if the pins/solder connectors on the flipper control board are marginal. I look at the pins and check for broken solder joints at the pin to board connection and reflow if needed. Some of those DE flipper boards are mounted in the left wall inside the cabinet. 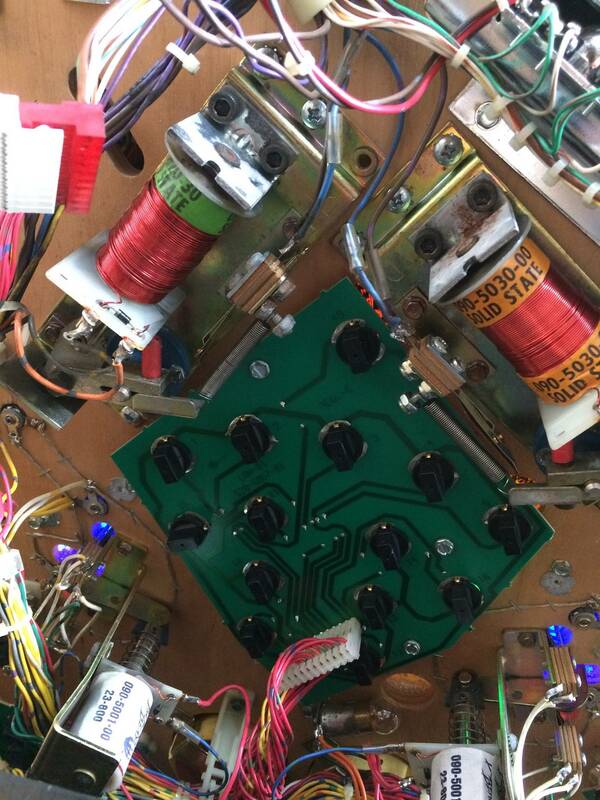 And if the playfield fell into the cabinet it would damage them in numerous ways, sometimes tearing the transistors off. Check for damage like cracked headers and solder joints.